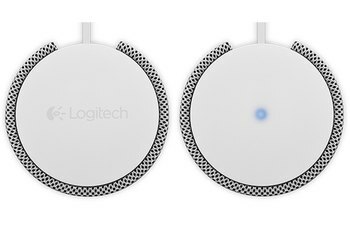 You can station the speakers as far apart as you like. The A5+ includes a USB port. The A5+ is more expensive than many of its competitors. The speakers are pretty big for a desktop. You can't switch between inputs. Both are always active. 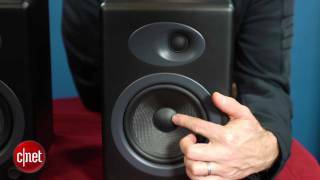 Audioengine's A5+ powered speakers feature two bookshelf-style monitors. 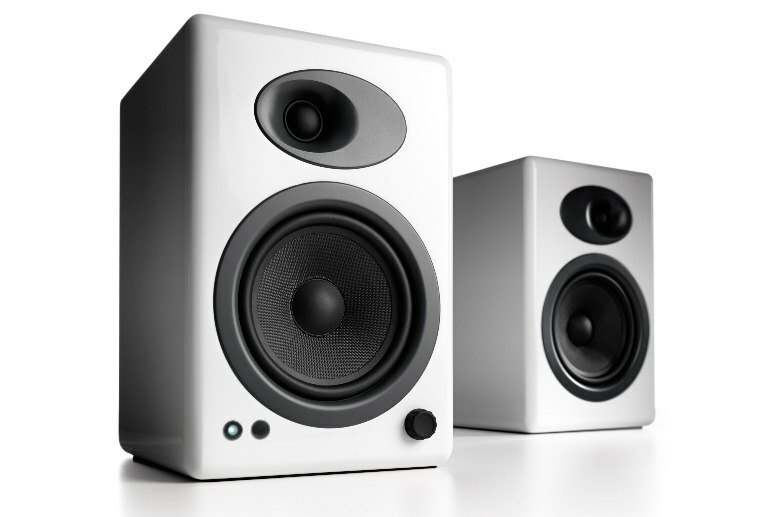 The left speaker contains all the connections, which include two audio inputs, a subwoofer output, a USB port and speaker wire connections. Speaker wires are included. 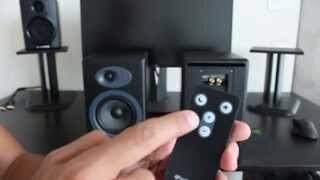 The left speaker also includes the 50-watt-per-channel amplifier. The speakers boast 5-inch Kevlar woofers and 3/4-inch silk dome tweeters. 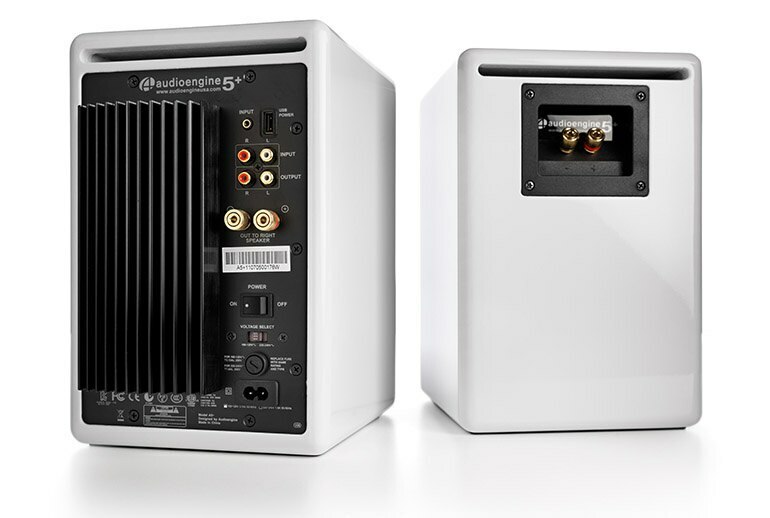 The A5+ implements a new thermal system to cool the amplifier. Each speaker measures 10.75 by 7 by 9 inches. The A5+ comes in black, white and bamboo versions. A remote is included. 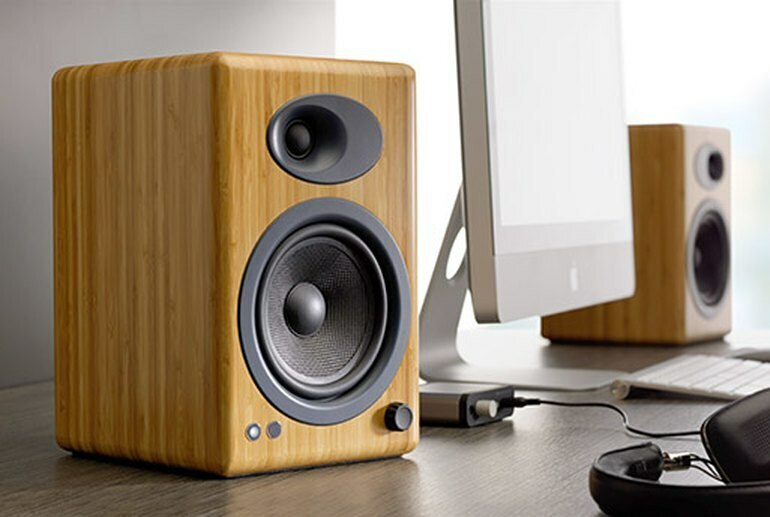 A timely upgrade has made the A5+ speakers slightly bigger, noticeably better and far more flexible than the originals. 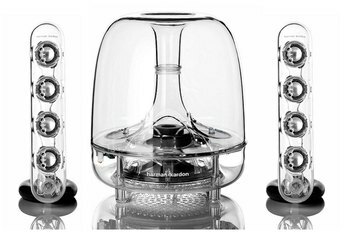 It’s hard to imagine that these tiny speakers would be at par with larger sound systems in terms of sound performance. However, you’d be surprised at what these babies can do. 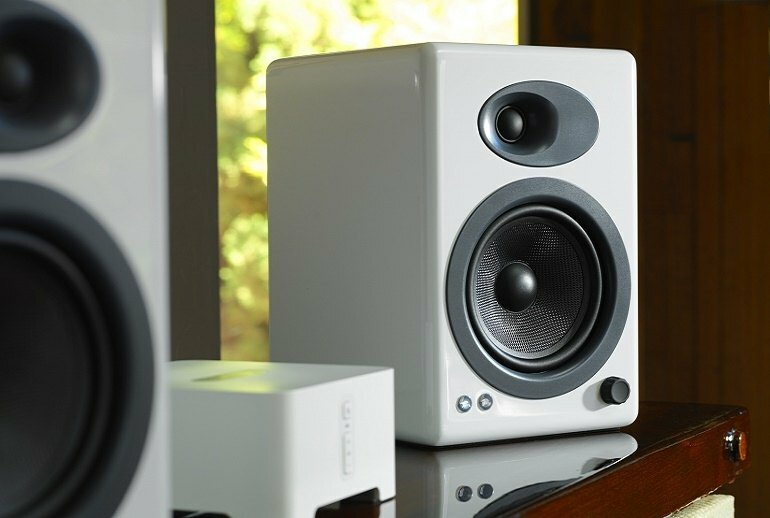 If you want audiophile-quality sound from your PC, have $400 to spare, and have room for them on your desk, these speakers will deliver the goods. 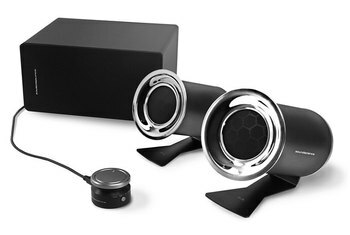 The Audioengine 5+ powered speakers deliver phenomenal sound and offer simple, attractive styling. They are, in nearly every way, worthy successors to the original. If you’ve got the desk space, do yourself a favor and fill it with A5+s. Once you listen to them, you’ll wonder how your ears tolerated anything else. 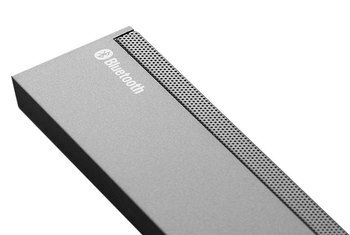 The D1 DAC is almost a necessity when using any computer as the primary audio source, but especially an iMac, since it has terrible built-in audio output. It likes to hit hard and move quickly so that ability deserves praise but it’s not a flavour I want. I can’t help myself, but it’s just all party bass. 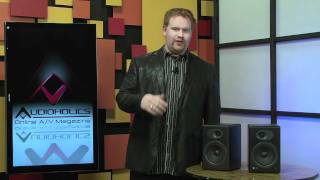 The A5+'s bass isn't pumped up or thickened, it sounds pretty accurate overall, and gets down to the high 40 Hertz range. That's hardly subwoofer territory, so if truly deep bass is what you're after, spring for a sub.